The left side of the St. Helens High softball infield got some love when the all-state teams were recently announced. Junior shortstop Taylor Dow was named to the Class 5A all-state first team. 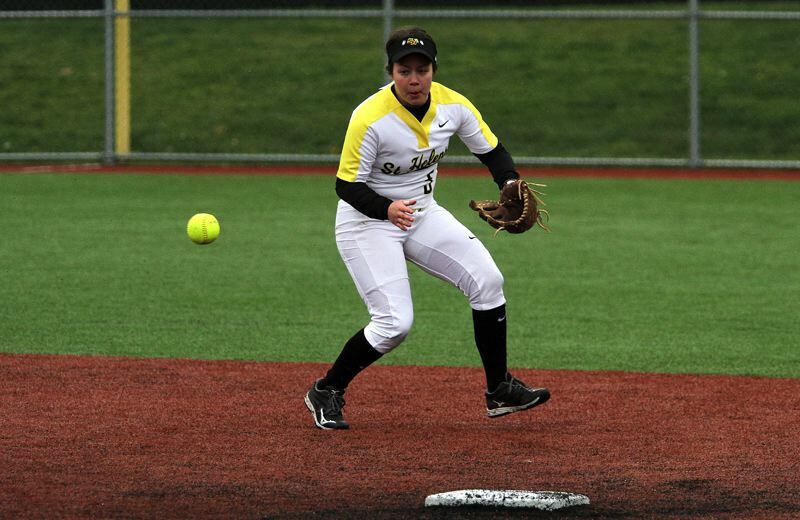 Senior third baseman Brooklynn Mercier was a second-team selection. 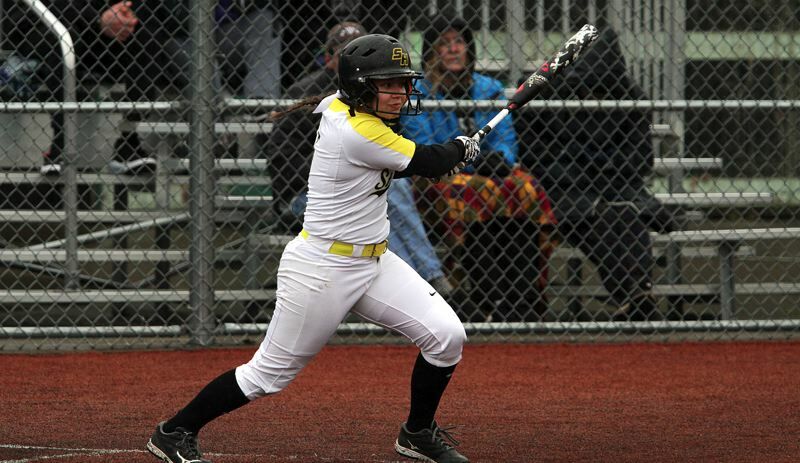 Dow led the St. Helens softball team with a .533 batting average. "She's extremely competitive at the plate," Lions coach Miranda Little said of Dow. "She had only four strikeouts all season, so I knew even in a pressure situation, she'd at least put the bat on the ball." Mercier batted .468 with 18 RBIs and struck out only four times in her senior season. Her quickness and experience were key on defense, too. Pitchers: Ariel Carlson, Marist, junior; Payton Goodrich, Hillsboro, senior; Madison Mayer, Putnam, senior; P Kayelynn Simmons, Dallas, junior; Hannah McNerney, Hood River Valley, senior; Lauren Richards, Pendleton, senior. Catchers: Lauren Wallace, Dallas, senior; Abby Doerr, Marist, sophomore; Zoe Munn, Hood River Valley, senior. Infielders: Taylor Dow, St. Helens, junior; McKenzie Staub, Hillsboro, sophomore; Abbey Siroshton, Marist, senior; Gillian Willis, Eagle Point, senior; IF Sydney Stefani, Hermiston, junior. Outfielders: Hannah Sisul, La Salle Prep, senior; OF Emma Classen, Dallas, junior; Savana Decker, Thurston, sophomore; Haylee Baker, Hood River Valley, junior. Utility/Designated player: Maggie Roth, Silverton, senior; Lauren Decker, Hood River Valley, junior; Miyah Smith, Eagle Point, senior. Player of the Year — Abby Doerr, Marist, sophomore. Pitcher of the Year — Lauren Richards, Pendleton, senior. Coach of the Year — Tim Cary, Pendleton. Pitchers: Riley Shopp, Eagle Point, sophomore; Allicitie Frost, Ridgeview, sophomore. Catchers: Kiara McCrea, Hillsboro, freshman; Samantha Thompson, Eagle Point, senior. Infielders: Brooklynn Mercier, St. Helens, senior; Sydney Nash, Central, sophomore; Jordan Dippel, Dallas, senior; Bailey Sundberg, Churchill, senior; Kalan McGlothan, Pendleton, senior. Outfielders: Mikayla Schweinsberg, Putnam, senior; Kassidy Noon, Central, junior; Katie Drieling, Marist, junior. Catcher: Kila Solomon, Pendleton, senior. Infielders: Ally Wessel, Lebanon, senior; McKenna Williams, Marist, junior; Aspen Garton, Pendleton, junior; Alexi Behaut, Pendleton, senior. Outfielders: Corie Dodge, Eagle Point, senior; Sage McVay, Ridgeview, freshman. Utility/Designated player: Faith Vadelund, Putnam, sophomore; Hailey Nelson, Summit, senior.